Achievement unlock data is stored in the configuration file(s) location. Not automatically transferred cross platform. Default cap is 400 FPS. See High frame rate. 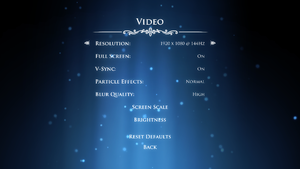 Under [VideoSettings] set FrameRateCap= to desired amount and save the file. 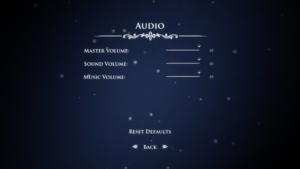 Download Hollow Knight 3D Vision Fix. 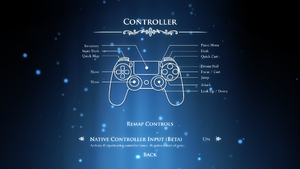 In-game controller settings for DualShock 4. Install Special K by following the Unofficial Special K Guide. Manual local installation may work better if using 3Dmigoto. 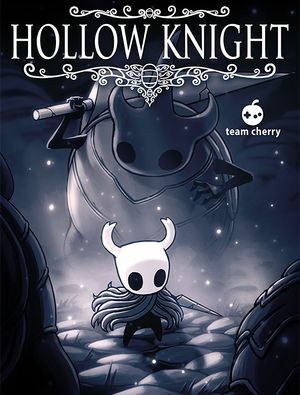 See Helix Mod: Hollow Knight. A lot of users report ghost input when using the wireless Xbox Controller Adapter. 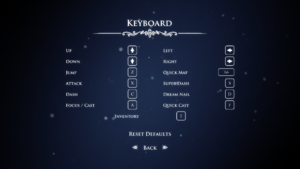 Same as with other Unity titles the game registers that the left stick is always pushed to the left. 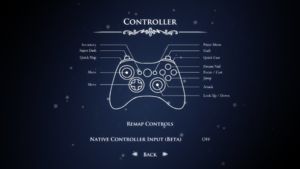 ↑ CriticalComposer comments on Hollow Knight Achievement location? This page was last edited on 11 April 2019, at 20:55.